A fruit tree orchard is indeed a thing of beauty. To stroll through one's trees, picking perfectly ripe fruit, is to be in intimate contact with a source of one's own sustenance. There is a certain peace and contentment to be found as well in the exchange of care, watering and fertilizing for delicious, beautiful fruit in that glorious moment when all the effort pays off. But an assortment of fruit trees planted in a traditional orchard is not the only way to achieve this kind of satisfaction. A patio with potted trees can provide every bit as much enjoyment, as can a variety of trees planted according to the principles of Backyard Orchard Culture which uses high density planting and other techniques to maximize the number of varieties that can be grown in a given space. 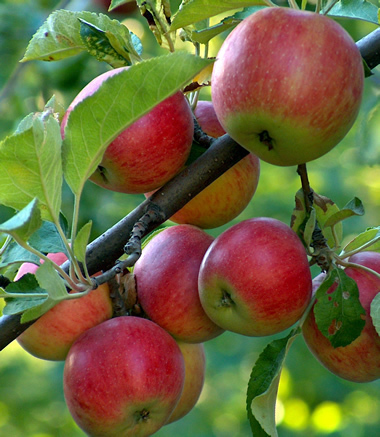 Check out the Backyard Orchard Culture and High Density Planting articles under the Growing Fruit Trees tab and then try it for yourself! For trees that will thrive in pots, check our selection in the Dwarf and Miniature section. We have a new donut peach from Zaiger this season called Sauzee Swirl. 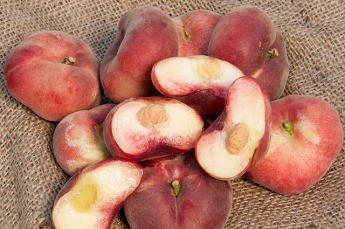 It has beautiful white flesh with red marbling and wonderful flavor. It also ripens very early, in mid to late May. This is definitely one to add to your orchard to really get the fresh fruit season going. 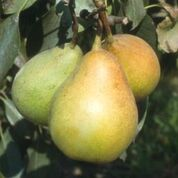 We also have a new low chill pear, Pineapple, with large, pineapple flavored fruit and good resistance to fireblight. It is an early bloomer and should be very compatible with Hood and Flordahome. 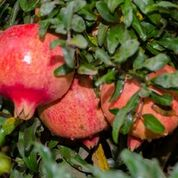 Texas Hardy Pomegranate is one to try for those of you in cold areas. It comes from a plant in north Texas that has survived for twenty-five years during which winter lows have reached minus eighteen degrees. Golden Smyrna Quince is another nice addition to our catalog. 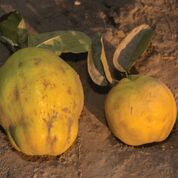 It has very large fruit, about twice the size of most other varieties, and is great for cooking and jellies. Last season's new low chill, self-fruitful cherry has been given a new name and is now called Royal Crimson, a great improvement over 6GM25. We are expecting a better supply this time, but you should still get your order in as early as possible. 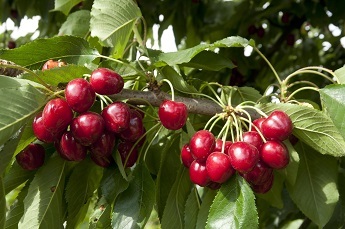 Another worthy change is the addition of Maxma 14, a better semi-dwarfing rootstock for cherries. It will be replacing Colt and is more dwarfing (to about fifteen feet) as well as being precocious, productive and tolerant of wet soils. We are expecting to receive all the semi-dwarf cherries on Maxma 14, but should shortages arise at the growers, Colt will be substituted where available. 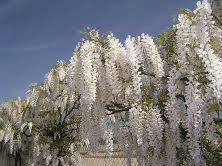 Since white wisteria in containers seem to be rather hard to find these days, we have added Texas White Wisteria which has gorgeous long white racemes. 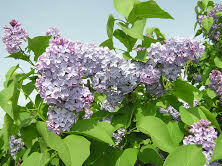 We have also changed to President Lincoln Lilac, a different blue variety with single, Wedgewood blue flowers. 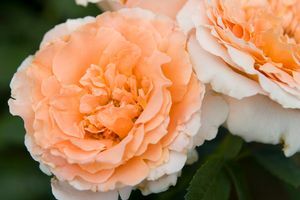 Last but not least, we have shaken up our rose selection a bit, bringing in some new varieties and some classic older ones like Queen Elizabeth, Papa Meilland, and New Zealand in Hybrid Tea Roses, and Cecile Brunner in Climbing Roses. Polka, a very popular, old fashioned apricot climber, is also available once again. 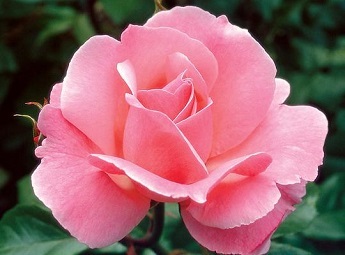 Please remember that we can ship roses only from the beginning of January to mid February. Happy shopping!